This volume is actually a collection of short stories that were published in various outlets, including EQMM, between 1972 and 1977. I certainly haven’t gone back to the original publication; it seems to me off-handedly that these would be difficult to read in a stand-alone version since the linking information is rather scant. I suspect that some editing may have been done to make the book more “novel-like”; I don’t mind that, but purists may want to go back to the originals. This volume contains an introduction by Gilbert about Patrick Petrella that is of interest to the student and will make the book easier to get into. Michael Gilbert is an excellent writer who had the misfortune to be able to work in a number of different styles and backgrounds; as a result, he was difficult for publishers to pigeonhole and he possibly hasn’t had the promotional opportunities available to someone who is writing a long series about one individual. His first mystery, Close Quarters (1947) introduced us to Inspector Hazelrigg, and all the books in this series are exceptional; one, Smallbone Deceased (1950), is generally seen as a classic. 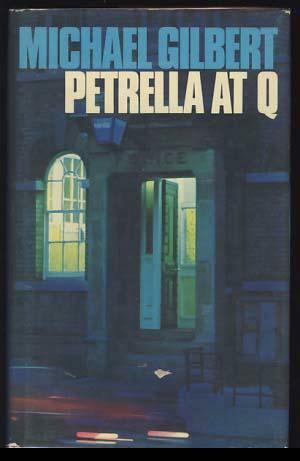 Petrella has a similar background of London police work. 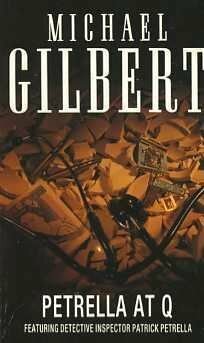 In the 1990s Gilbert started writing espionage novels both in a couple of series and as stand-alone entries; his stand-alone work is by far the largest portion of his output. Personally I prefer his mysteries to his espionage work but he has adherents in both areas. This collection of short stories is definitely a worthwhile addition to the body of work of the police procedural. Some cases for Petrella involve crimes that are petty; some are very serious. Once or twice there is humour, notably in the story about overcharging for car repairs, and one story about a group of young petty criminals has such a sad ending that it stuck with me for days. There’s one story about a clergyman working in a very poor area of London which is remarkably perceptive and unflinching in its approach to how ministers serve their flocks and the resources upon which they draw to do so (and you will probably be smiling at the end). The final story as I mentioned is quite exciting and violent and would make a great film, I think. If you enjoy the British take on the police procedural and want a volume of uniformly good short stories to while away some moments, I recommend this and its companion volumes. And if you want Gilbert’s best books, I endorse the selection of Smallbone Deceased but I’ll also mention a great favourite of mine, the unusual Death in Captivity (1952), a classic puzzle mystery that takes place among Allied soldiers in a prisoner of war camp. And his first book, Close Quarters, is so Golden Age that it even has a cryptic crossword to solve as part of the volume. I don’t think there are any exceptionally beautiful editions of this book; the muddy blues and greens and 1970s typography of the first edition are not especially well conceived. (It’s depicted above.) My own copy is from the Perennial British Mystery series, shown here, a paperback imprint of Harper and Row and has a vaguely surrealistic flavour about it because of the human face where the Thames should be. As of today’s date on Abebooks, there’s an inscribed first edition for about US$100 plus shipping; I’d be interested in owning that if I was a Gilbert completist. But my reading copy will do me just fine. This entry was posted in Brand, Detective fiction, Golden Age of Detective Fiction, Mystery, Mystery writers, Quick Looks and tagged Archie Goodwin, Nero Wolfe, Rex Stout. I really enjoy Michael Gilbert–but I’ve never come across any of short stories. Will have to keep an eye out. Sometimes the right book finds the right person at the right time 😉 Serendipitous find! I recently read this, and am currently on YOUNG PETRELLA. Terrifc storyteller. One of the fascinating things is that each single story has its own shape and mood, whilst remaining true to the character. I agree with you about the one concerning the young offenders–the denoument is so achingly sad that you find yourself getting upset about non-existent people. which is the sign of a master storyteller. As I noted, I think his versatility of shape and mood actually worked against him… If he had written 35 Inspector Hazelrigg mysteries, I think he’d be a much better known author today. I’ve used the particular story about young offenders that we both enjoyed as a way of explaining how writers do best when they show, rather than tell. A very sensible assessment of the Petrella book Noah (if I may say so …). Along with SMALLBONE and CAPTIVITY I would add DEATH OF A FAVOURITE GIRL as showing Gilbert at his best as a novelist. Yes indeed. I definitely enjoyed that one and it reaffirmed for me that Gilbert could do puzzle plots at a deeper level than most of his contemporaries. “Favourite Girl” is as good as Michael Innes or Crispin for good writing mixed with clever trickery.